NEW YORK, November 21, 2016 /PRNewswire/ — http://www.Financialbuzz.com – After the recent elections, one area of interest in the economy is the renewable energy market. Whether or not the concerns will materialize remains to be seen, but current market conditions are on the side of alternative energy sources. According to the Institute for Energy Research about 9.9 percent of all energy consumed in the United States in 2015 was from renewable sources, and they account for about 13.4 percent of the nation’s total electricity production. Vega Biofuels Inc. (OTC: VGPR), Gevo Inc. (NASDAQ: GEVO), Madalena Energy (OTC: MDLNF), Sauer Energy Inc. (OTC: SENY), Lithium Corporation (OTC: LTUM). Several factors contribute to the growth of the renewable energy market – innovation, falling costs and major operation expansion in emerging economies are all factors that are expected to contribute for major growth. According to a research conducted by the International Energy Agency, the share of renewable energy in global power generation will increase to over 26% by 2020, from 22% in 2013. Renewable energy is a diverse industry and includes companies that focus on, biofuels, solar energy, wind power, wave power, hydropower and more. Vega Biofuels Inc. (OTC: VGPR) states that it is a renewable energy company focused on the production and sale of biofuel products throughout the world. The Company markets two products, Bio-coal and a soil enhancement called Biochar. Bio-coal is produced using technology called torrefaction. Torrefaction is a partial carbonization process at temperatures between 475 – 575°F in a low oxygen environment. The torrefaction process eliminates undesirable volatiles, such as nitrous oxides and sulfur dioxides in the Bio-coal, which is carbon neutral to the environment. Gevo Inc. (NASDAQ: GEVO) recently produced the very first cellulosic renewable jet fuel that is used on commercial flights. The company produced over a thousand gallon of Alcohol-to-Jet fuel by altering renewable isobutanol which was made from cellulosic sugars derived from wood waste by using its patented technologies. Alaska Airlines is expected to run the first commercial flight in the next few months by using the cellulosic jet fuel. “Gevo’s production of this cellulosic ATJ removes all doubt that cellulosic sugars can be successfully converted into isobutanol using Gevo’s technology. “Gevo’s ATJ technology then reliably converts isobutanol into renewable jet fuel, regardless of the sugar source. I’m looking forward to seeing this fuel power an Alaska Airlines flight in the near future,” said Gevo’s chief executive officer Dr. Patrick Gruber. Madalena Energy (OTCQX: MDLNF) currently holds a large land position of over 950,000 acres in Argentina and professionally implements full cycle operations through all aspects of its oil and gas business. Madalena is focused on the delineation of large petroleum in-place shale and unconventional resources in both the Vaca Muerta and Lower Agrio shales, in addition to multiple tight sand plays throughout the Company’s portfolio of assets. The Company is also focused on implementing horizontal drilling and completions technology to develop high impact conventional, and scalable resource plays, for light oil and liquids-rich gas. Madalena is an international upstream oil and gas company that explores, develops and produces crude oil, natural gas liquids and natural gas. Sauer Energy Inc. (OTCQB: SENY) manufactures highly effective small wind Turbine Systems could be mounted of rooftops on homes or small buildings. The Sauer Energy Turbine Systems potentially deliver the fastest return of investment to the owner and investor. The company’s sights are set on advanced quality for its units. With quality manufacturing, Sauer will still be able to offer extremely affordable price/cost. With state-of-the-art technology and high demand for its Turbine Systems, comes a standard for community development. Sauer Energy’s platform for renewable energy will have a crystallization of its strategy and technology research that will lead to a global collaboration between people. 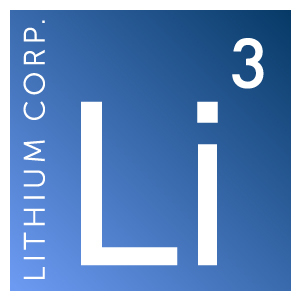 Lithium Corporation (OTCQB: LTUM) is a junior mining company focused on creating shareholder value through the discovery and development of lithium and related mineral resources. Lithium is a strategic mineral with very strong and collective demand from the portable energy sector, particularly for use in batteries to power hybrid and electric vehicles. Currently, the company is exploring two wholly owned prospects located in the State of Nevada, USA and two prospects in British Columbia, Canada. On each of the Nevada prospects, the Company has defined a lithium-in-brine anomaly.